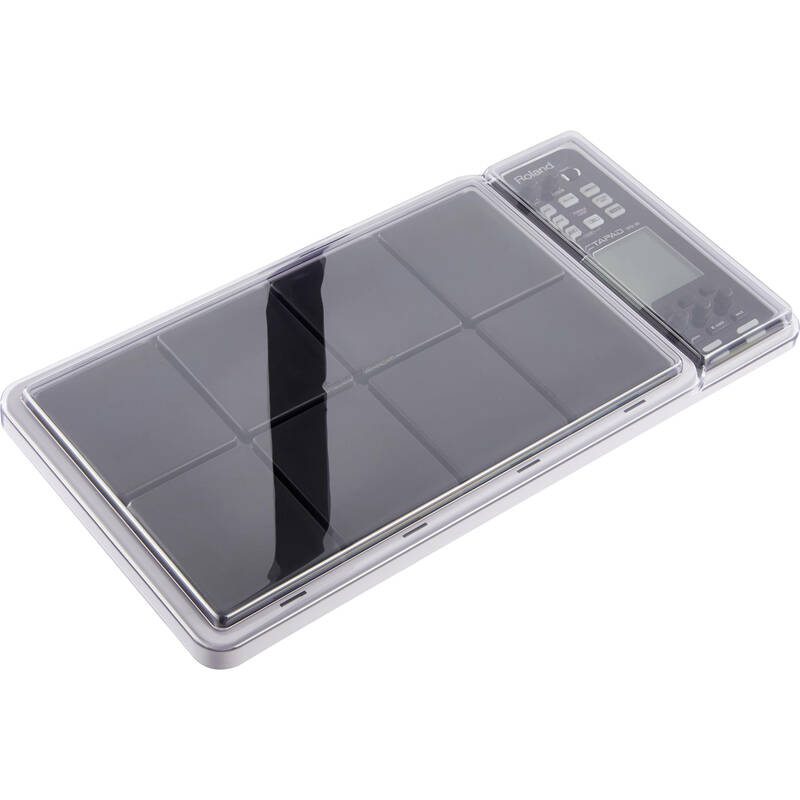 Designed as a safeguard against damage, the smoked/clear Decksaver Cover for Roland Octapad SPD-30 is made of a durable polycarbonate material, which protects fragile parts such as knobs, buttons, pads, and the screen from impact during transport. The lightweight (1.5 lb) cover keeps the SPD-30 free from dust, dirt, and debris and can be kept in place when packed in flight cases and carrying bags. Additionally, the cover accommodates all cables, allowing the SPD-30 to be ready for use in the studio or during shows when there are multiple performers set up on stage. Box Dimensions (LxWxH) 13.1 x 1.1 x 0.1"